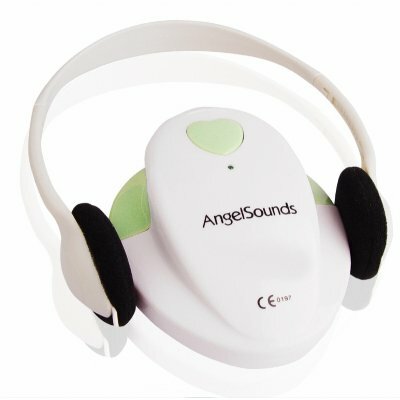 Successfully Added Fetal Microphone - Pregnancy Heartbeat Detection -Green to your Shopping Cart. Fetal Microphone - Pregnancy Heartbeat Detection -Green. Baby heartbeat monitor: listen to your baby's heart as they develop. Monitor the baby's health safely and easily from the comfort of your home. A wonderful piece of equipment, tested it out first on my own heart and could hear it perfectly, however trying to hear my wifes baby's heart beat was difficult at 12 weeks, Reccomendation: use some lubrication on the area where the monitor will be placed, this creates a better contact. I was able to hear the heart beat of my baby as clear as crystal. The 2 headphone jacks are an extremely wonderful idea, both my wife and i can listen at the same time, or one of us can listen while recording it on to the computer to send to family. As usual, don't use for more than the reccomended amout of time, this is about the same amount of time that a doctor would spend when you are at the hospital showing you your baby on their ultrasound machines. R.